TS 06 great Kit, natural hand dyeing by contact. 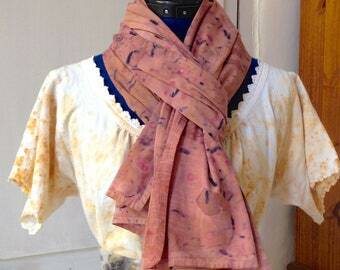 CS31:UN naturally dyed fabric and silk covered artist book. 123-124-125 covers for two/three pens, mini kits, forest spirit. Keyboard CCS055-runner, protects piano keyboard, piano keyboard cover. Keyboard CCS054-runner, protects piano keyboard, piano keyboard cover. 001 wall decor, small textile wall hanging plants. 09, naturally dyed Cushion cover with contact dyeing. guest books, notebooks, paper, linen, green, plum. notebook, guestbook... all dressed in velvet. 136 checkbook high heel. Lace and fabric. Multicolor. 265 small pocket with flap, red/orange. CA 042: an artist book, dyed, embroidered, and sewn. 01 - Pincushion relaxation for the eyes. Yoga. Savasana. Micro-sieste. Eye pillow. magnifique, qhelle belle harmonie de couleurs! Une très jolie pochette dans des tons qui annoncent la fin de l'été et les prémices de l'automne. Une belle création de Bérénice.